Some of the most exciting garden introductions of recent years are reblooming shrubs. Much like hybrid roses, which can repeat bloom throughout the summer when cut back after flowering, there are now several shrub hybrids which are capable of the same thing. 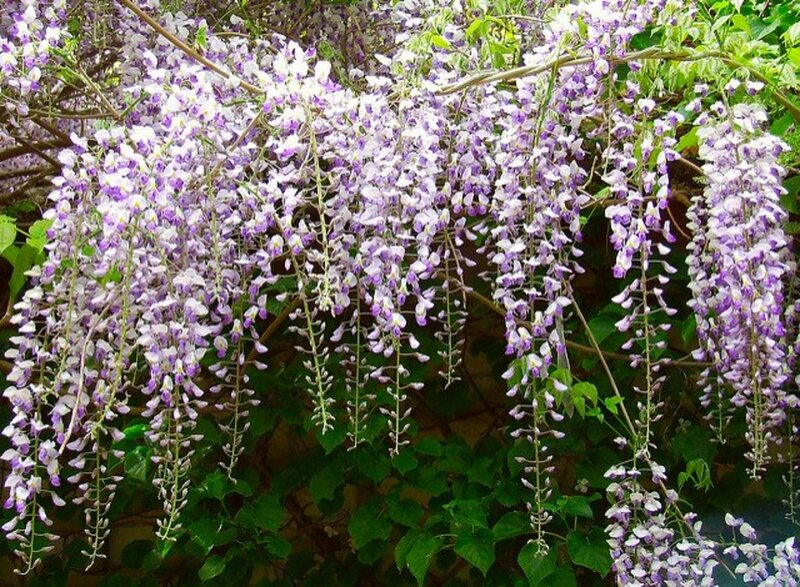 Instead of the typical peak of bloom in spring or summer alone, these plants keep right on adding color, fragrance, and enjoyment to the yard. Those who are planting new shrubs can consider these specimens. 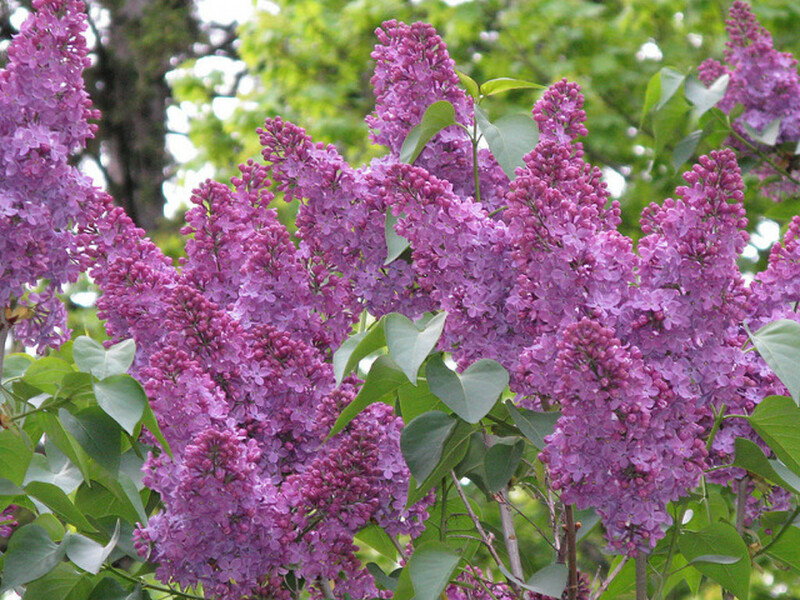 Lilacs are actually small trees. Some are shrubby, but many older types can exceed 15 feet in height if left to grow. 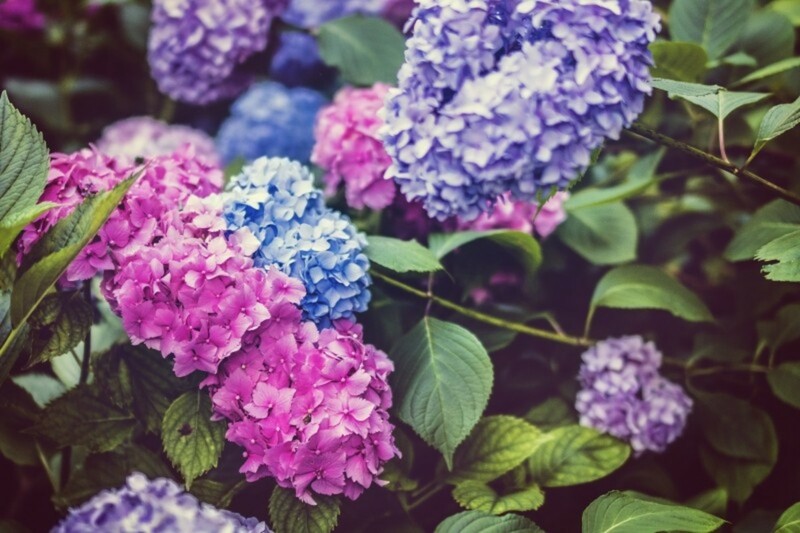 Their fragrant flowers traditionally come in pink, blue, lavender, and white, with doubles called “French lilacs.” Long a staple of the late spring garden, they are some of the most hardy bloomers, growing even in US zone 3, which can reach -40 below zero Fahrenheit. Some recent rebloomers include the ‘Bloomerang’ series, available in pink, light and deep purple, and “Scent and Sensibility’ in pink. Boomerangs grow 4 to 5 feet tall, Scents 2 to 3 feet. ‘Josee’ is another new hybrid said to repeat bloom. Happiest in full sun ( that is, at least 6 hours of sun a day), they are very easily grown through the temperate parts of the country. 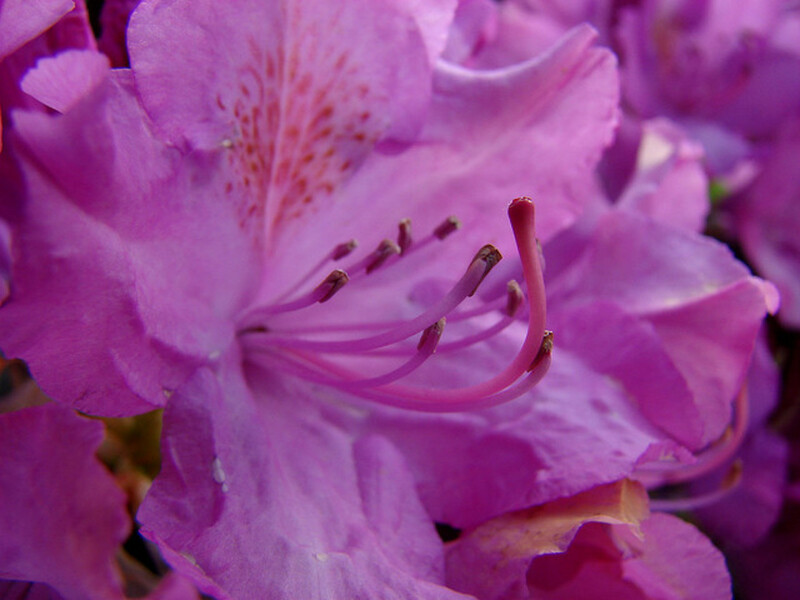 Another plant traditionally associated with spring is the hardy azalea. 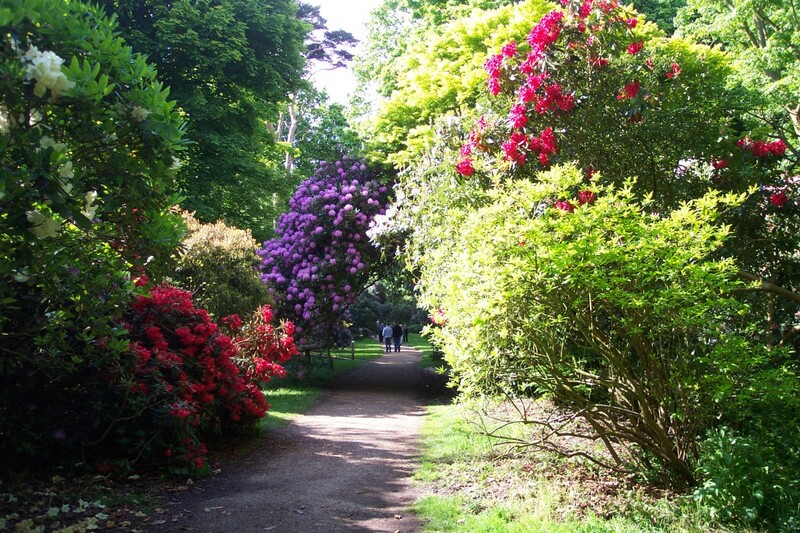 Many evergreen azaleas are somewhat less hardy than the deciduous types. Their flowers flourish in US zone 6 (-10 below zero Fahrenheit) and south. These plants prefer partial shade and acidic soil. A blanket of mulch keeps their roots cool, moist, and happy. Rebloomers becoming available in the trade include the patented and trademarked ‘Bloom-a-Thon’ series, and ‘Encore’ series. Available in single red, white, lavender and pink doubles, they are said to provide 20 weeks of flowers. They have also been bred to be compact in habit. The lavender variety is the tallest at 4 1/2 feet when mature, with the white at 2 1/2 feet. More recent summer rebloomers include new varieties of big leaf hydrangea (H.macrophylla), zones 6 to 9. Their flowers are typically the rounded, “mophead” type. Partial shade is fine for them. In the past, while these hydrangeas were plant hardy, their flowers were less so…since they bloomed on old growth, if that growth was injured, no flowers that year. Sometimes adequate snow cover or milder temperatures allowed for a good blooming, but often harsh low temperatures, late hard frosts or lack of snow cover meant that the old growth died back, and there went that year’s flowers in zone 6. Newer hybrids have overcome this hurdle by blooming on new growth as well as old. 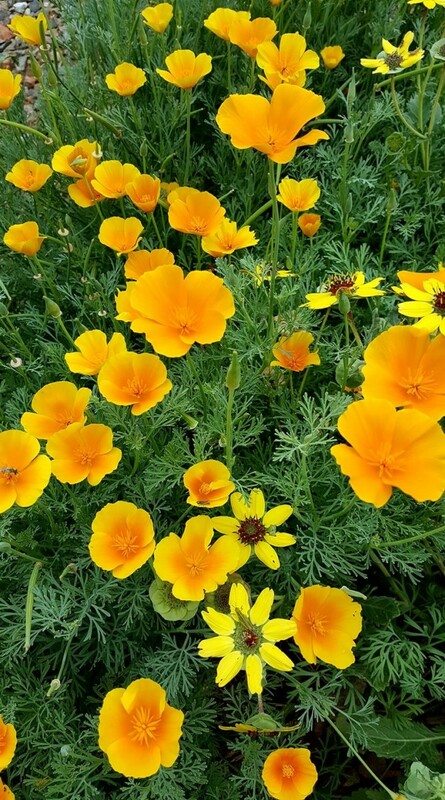 One of the most popular new plants has been “Endless Summer, ‘ which, when established, is supposed to bloom off and on for months. The ’Let’s Dance’ series, ‘Mini Penny’ and ‘Penny Mac’ come in a variety of colors, mop head pink, purple, and blue, even lace cap. “Nantucket Blue” and the white “Peace” also repeat. These range from 4 to 6 feet tall. Acid soil and the trace element aluminum ensure blue flowers rather than pink, although some hybrids now are not as specific in their fertilizer needs, and remain true to color. Mountain hydrangeas (H. serrata) are a bit hardier, doing well in zone 5. Their lacecap flowers are less likely to suffer winter damage, but only came once a summer in the case of ‘Bluebird.’ Now, with petite beauties such as ‘Tiny Tuff Stuff,’ which only reaches 2 feet, blue or pink lacecaps can repeat all summer in small spaces. 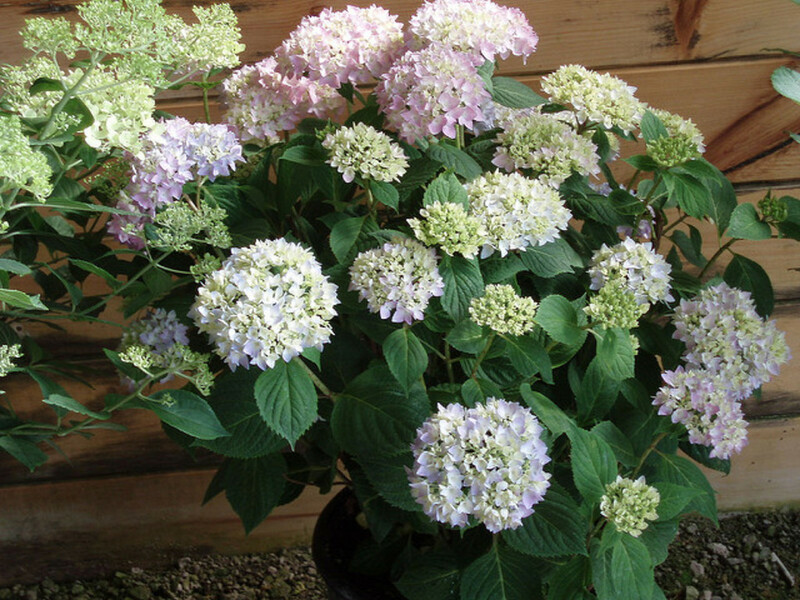 Even hardier is the American native hydrangea (H. arborescens), which can even grow in zone 3. New rebloomers here include ‘Invincibelle II’, with large pink or white rounded ball flower heads, a height around 5 feet, and improved strong stems. Additionally, purchase of this plant benefits the Breast Cancer Research Foundation. Some of the toughest and most reliable shrubs are spireas and weigelas. Spireas are hardy to zone 3, and weigelas to 4 or 5. 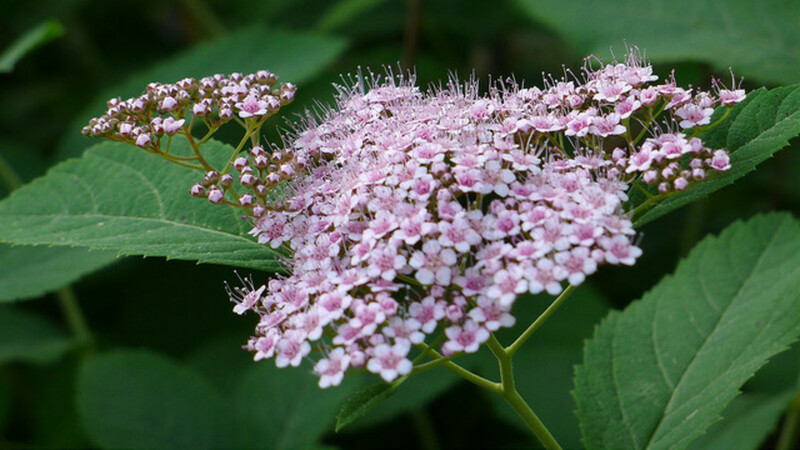 The reblooming spireas include the Double Play series, with delicate clusters of pink or red flowers. 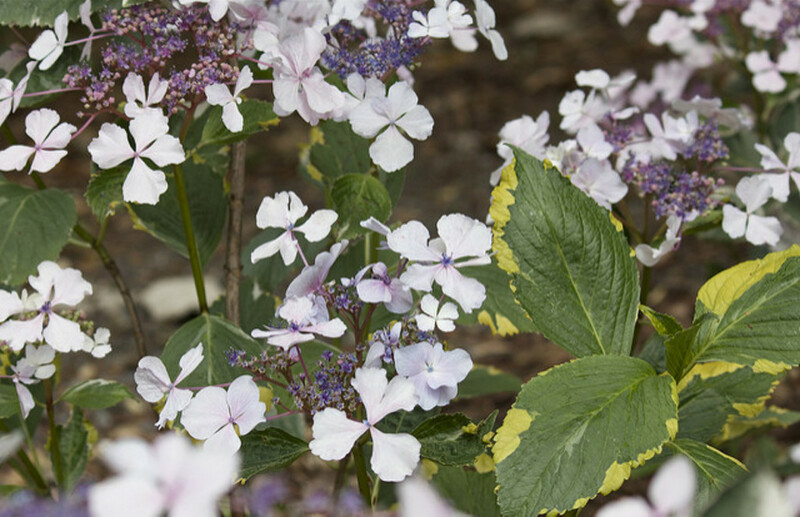 ‘Double Play Gold’ has glowing yellow-green foliage, while ‘Artisan’ sports new purplish foliage in spring, and ‘Blue Kazoo’ has bluish foliage and pink new growth. These grow well in sun or partial shade, without being fussy. Newer weigelas are more compact than the old fountains of foliage that the Victorians grew, and provide even more color. The hybrid ‘Wine and Roses’ shows deep pink flowers atop dark purple leaves. 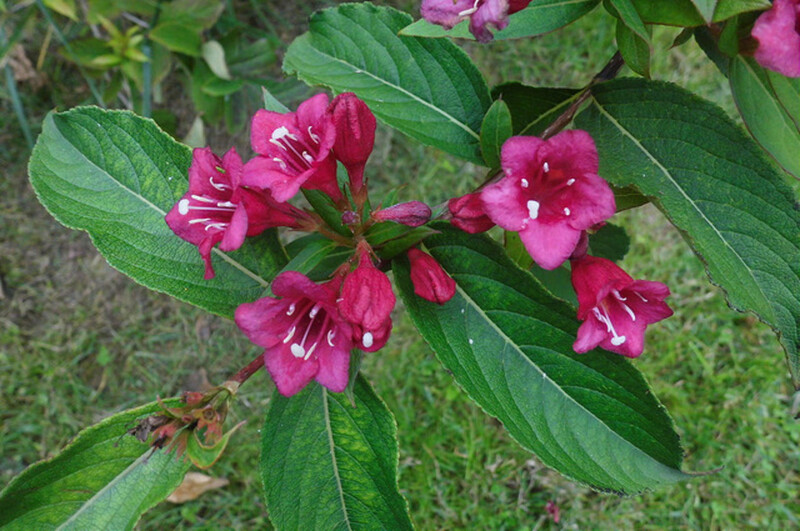 ‘Ghost’ has pale yellow green foliage and dark red flowers in abundance. ‘Sonic Bloom’ is another series of brightly-flowered red and pink weigelas, some variegated. These should be excellent plants for a sunny spot that needs a pop of color, and all reach 4 to 5 feet tall. 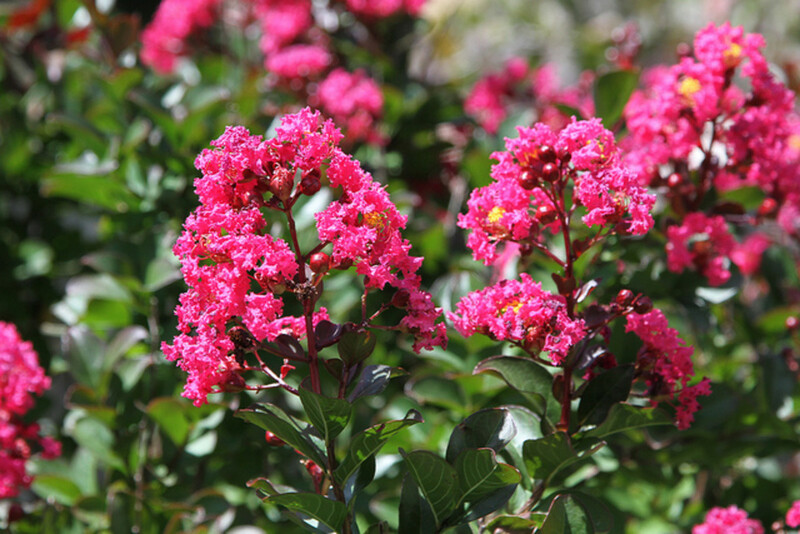 Crepe myrtles have now been hybridized to be more temperature tolerant, and several new ones are hardy to zone 6. Their frilly flowers repeat all summer in shades of pink, red and white, and the ‘Infinitini’ series grows only 2 to 4 feet tall. The ‘Princess’ series includes one plant (‘Jaden’) which is only 18 to 24 inches tall, making a colorful creeper, as well as others such as ‘Zoey,’ 4 to 5 feet tall. 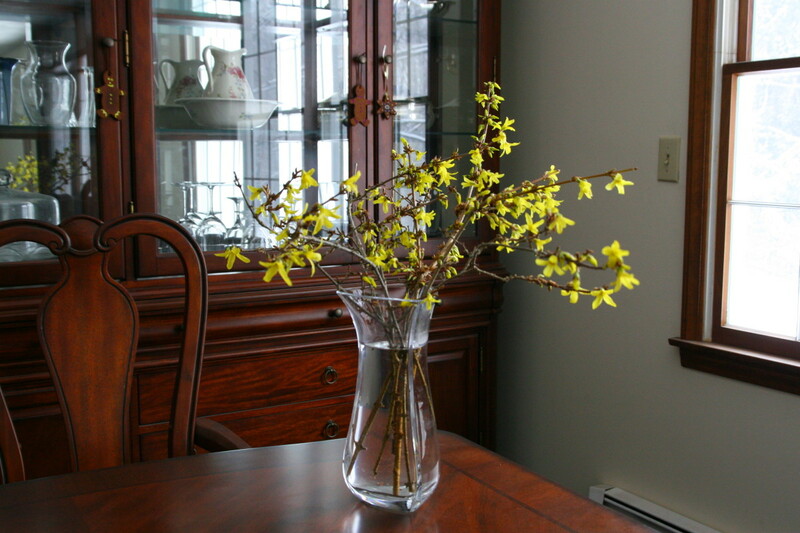 Gardeners may also consider some older shrubs which naturally repeat bloom. These include sun-loving Buddleia, pink, lavender, purple, white and yellow, hardy to zone 5, and a known butterfly attractor (take care that it does not self-sow where it is invasive, though.) 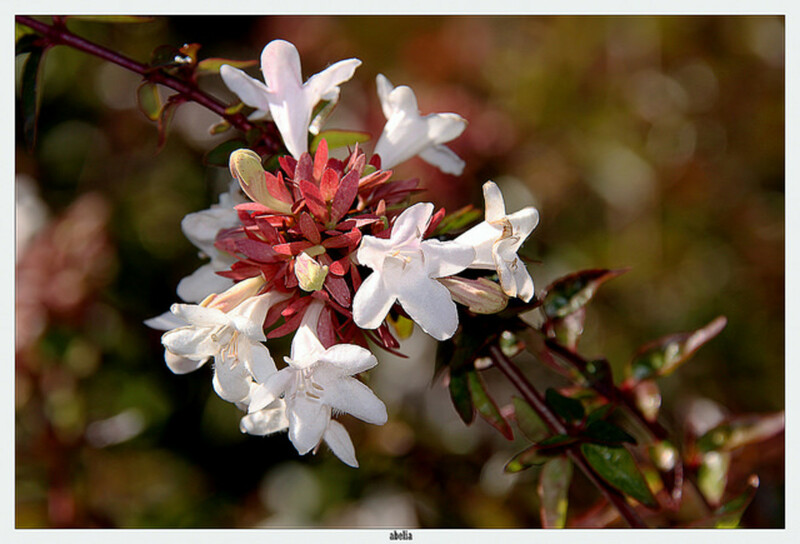 Abelia (zone 6 )will start blooming with small tubular pink flowers later in the summer and continue happily until hard frost. Small Potentilla (zone 2) blooms in several colors in bright, well-drained situations. Daphne caucasica (zone 5) has dark green foliage, and small white starry flowers that persist throughout the summer. 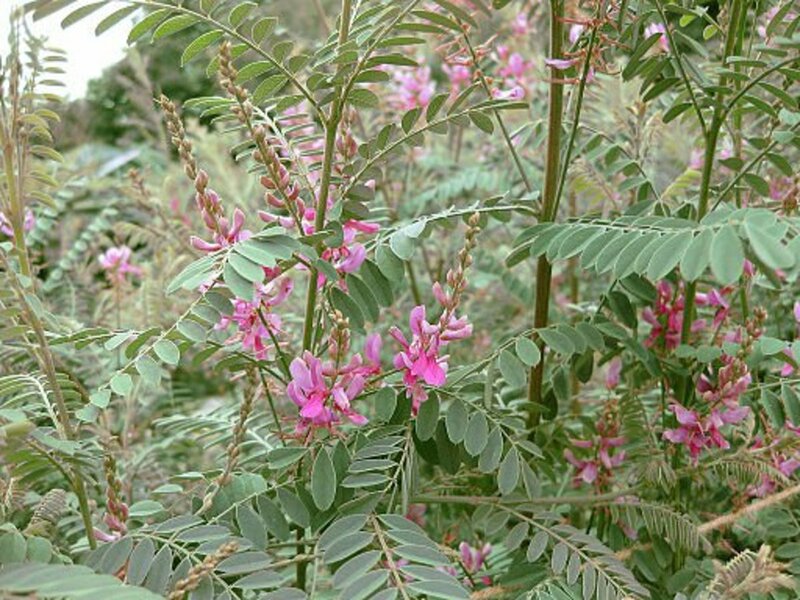 Though unfamiliar to many now, Indigofera ( zone 6b) is a promising small shrub with lavish pink pea-like flowers that are said to repeat. In many cases, with plants such as buddleias and spireas, repeat blooming will occur when spent flowers are cut off, just as with modern rose hybrids. Substantial pruning should be avoided in the case of hydrangeas, unless tip dieback occurs. 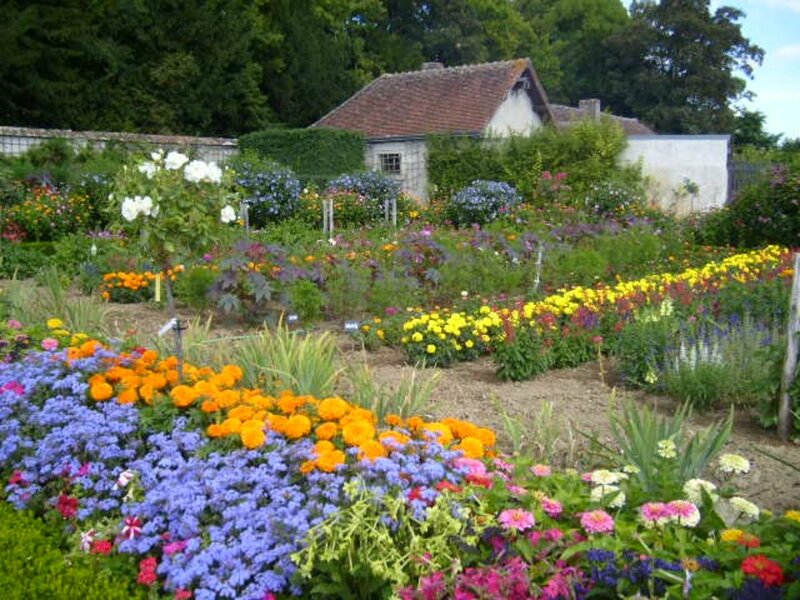 Growers can look forward to a long, flower-bedecked summer! My dear and very knowledgable friends at plantsvillepines.com have also reminded me of Viburnum 'Summer Snowflake,' V. plicatum F. tomentosum. 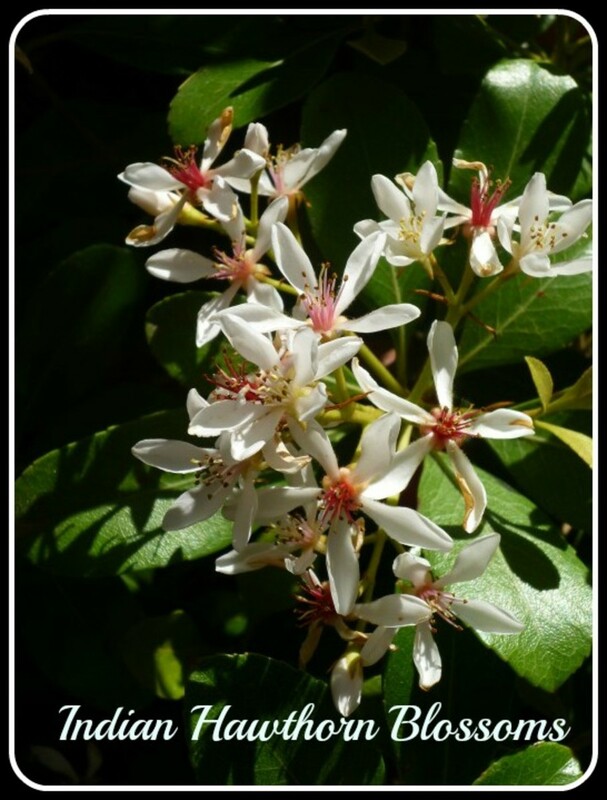 This lovely upright shrub can get as tall as a small tree, and will bloom abundantly in late spring, and sporadically through the summer. Enjoyed seeing this on rebloomers and am especially interested in the new lilacs. Thanks!